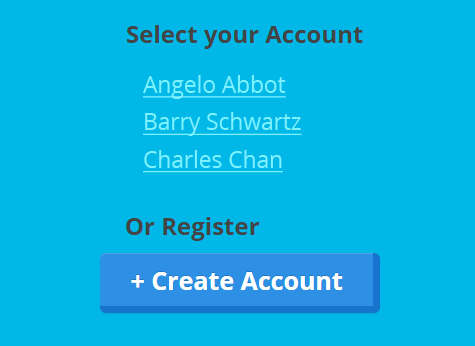 You can create accounts for your students or have them register themselves. For self-registration and logging in, here's what you need to know. As the teacher, go into any class that you have created and, along the top menu bar, you will see the Class Code in the top-right corner. This code is unique to your class and will not change. How does student login work? 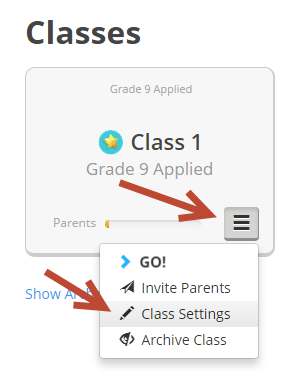 After entering the Class Code, students will see a list of existing accounts, and a Create Account button. If student accounts have already been created, then students just have to select their name and then enter their password. If not, they can click on "Create Account" to register. 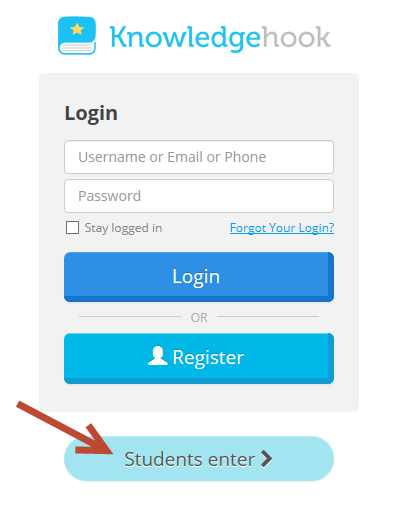 If you don't see the "Create Account" button here, you may have closed registration. 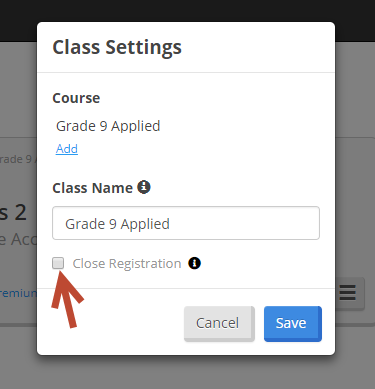 You can edit this setting by going to your class listing, pressing the menu on the class, and selecting "Class Settings". Select the Close Registration checkbox to prevent future registrations, and press Save. What if they forget the Class Code? 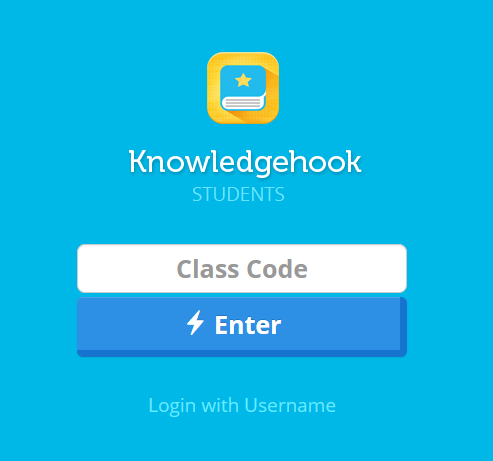 You should remind students of the Class Code and have them write it down in their notebooks so they can more easily log in from home. What if they forget the web address? If students forget the web address, khmath.com/join, all other entry points lead them back. 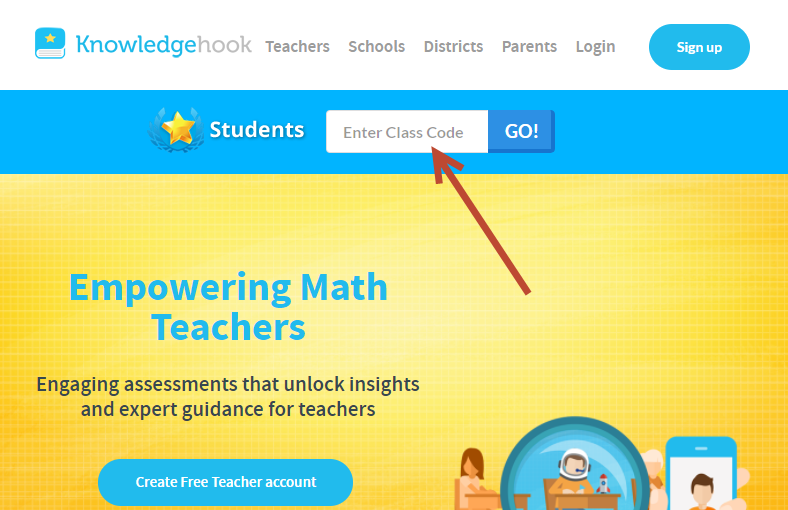 The general login page also has a Students enter button that brings them to the Class Code page.